Tooth loss can have negative implications far beyond your appearance. Your quality of life also suffers by hindering the functionality of eating and speaking. Tooth loss can even lead to jaw pain. By choosing dental implants as a natural restoration for missing teeth, it can stop the progression of poor oral health and can serve as a permanent replacement. Dr. Cooper and his committed team at Contemporary Dental Arts want to help your journey towards rejuvenating your smile with dental implants. Since dental implants are the gold standard in tooth replacement, their permanence and value are worth the investment in your overall health. Dental implants are the long-lasting, restorative solution for missing teeth. They are made up of three vital components: the fixture, the abutment, and the crown. These components work together to take the place of both your natural tooth and its root. The dental implant will give you the security and stability not found in other tooth restorations. Natural-looking – They resemble your natural teeth creating a flawless appearance. Practical – Since they are tightly secured to the jawbone, you never have to worry about them slipping out like regular dentures. Easy to Maintain – Brush and floss your implants as normal, and schedule regular cleanings with Dr. Cooper. Enhanced Health – Gums and neighboring teeth remain healthy while enhancing the density of your jawbone. Boosted Confidence – You can smile freely knowing your aesthetic appearance has drastically improved. Youthful Appearance – When teeth go missing the jawbone tends to sag and causes wrinkles to appear. Dental implants restores fullness to your cheeks and gives you back your winning smile. Once you schedule your no-obligation consultation with Dr. Cooper, you’ll discover how dental implants can change your life for the better. Why wait? 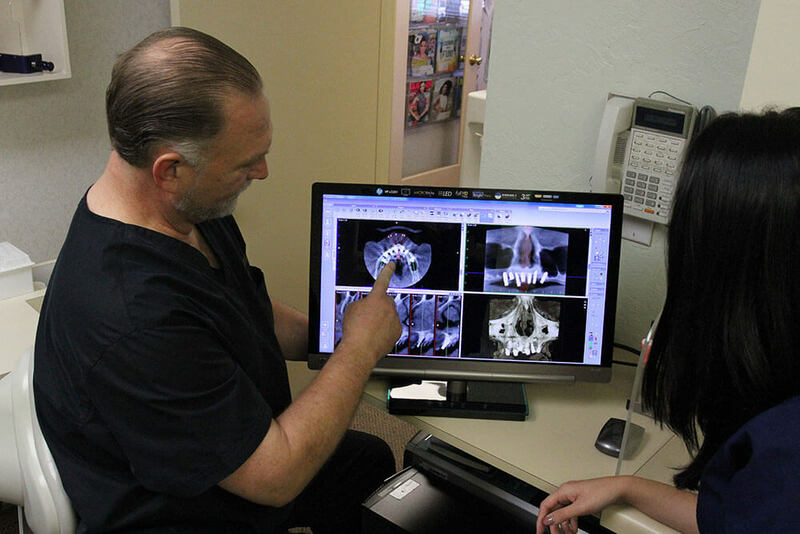 Our Contemporary Dental Arts practice will help you find the right solution to restore your beautiful smile.